Roslyn Code Fix provider for generating PropertyChanged from inner struct members. A Code Fix provider for generating PropertyChanged from inner struct members. 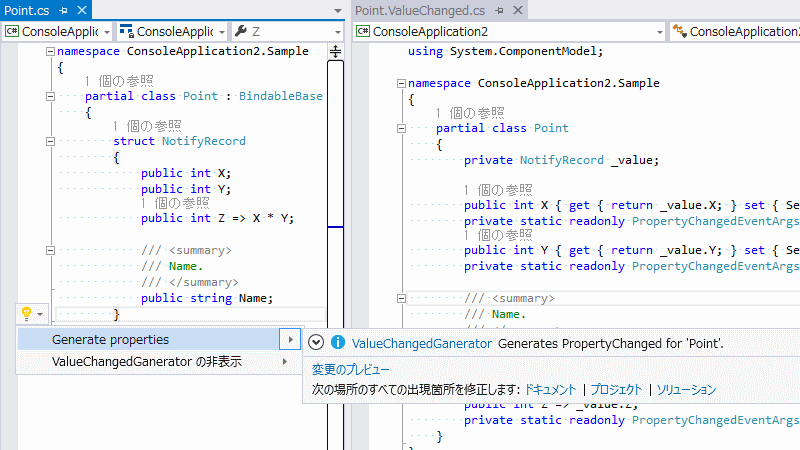 This VSIX inlcudes an analyzer created by using .NET Compiler Platform (Roslyn). Insert an inner struct named NotifyRecord into a class that you want to generete its properties.